Tituss Burgess has our hearts, and him singing this Little Mermaid classic only makes us love him more. For those who don’t know who Tituss is, well, here is your short crash course. First of all, he’s a Broadway boy and continually goes back to his roots. He even got together to with Tina Fey just to sing “You’re Nothing Without Me”. Tituss is also a pretty fierce guy. Remember that time he walked a peacock throughout New York City? No really, he did. That’s how amazing Tituss is. And now he went back to his musical theater roots by singing a song from The Little Mermaid. For those who aren’t aware, Tituss was in the Broadway production of the Disney class as Sebastian. But the man loves to multi-task. So, at Vulture Festival this year where Tituss had a show with singing and wine (because it is Tituss), he covered “Poor Unfortunate Souls”. And you know what this makes us want? Tituss to play Ursula in the live-action version of The Little Mermaid. And he wants to do it, he even mentioned it during the song. (Along with some very special additions he made to the beloved villian’s ode.) 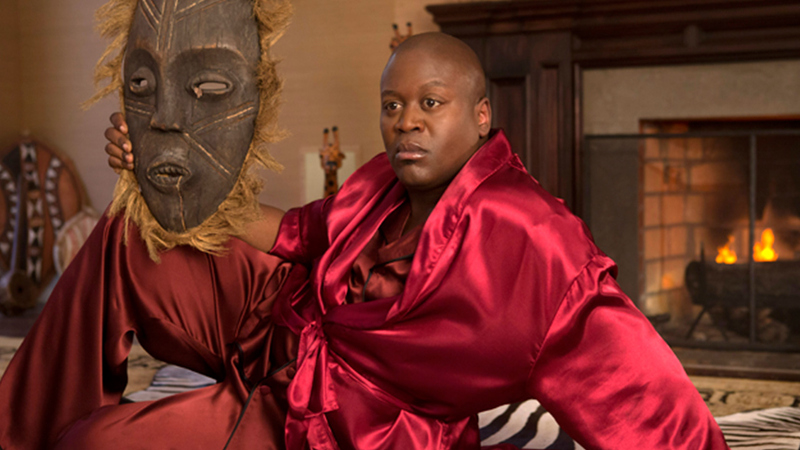 So just think about Tituss Burgess as the very personable Ursula.